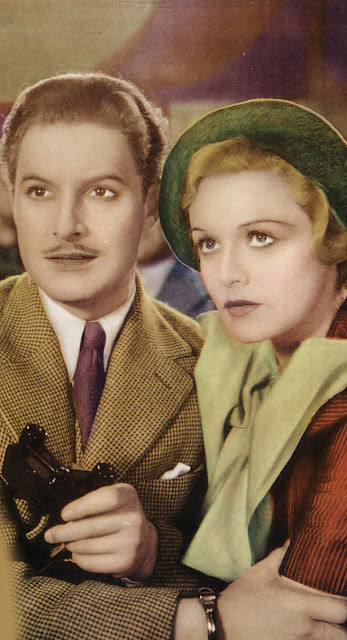 On today and Friday (5/18, publish date of The 39 Steps --- Part Two), Greenbriar links up with the third annual For the Love of Film: The Film Preservation Blogathon, hosted by TheSelf-Styled Siren, Ferdy On Films, and This Island Rod. They'll be covering Alfred Hitchcock-related posts from around the Net with links added throughout a coming week. Please also note this link to make donations toward preserving a recently discovered early film in which Hitchcock participated. 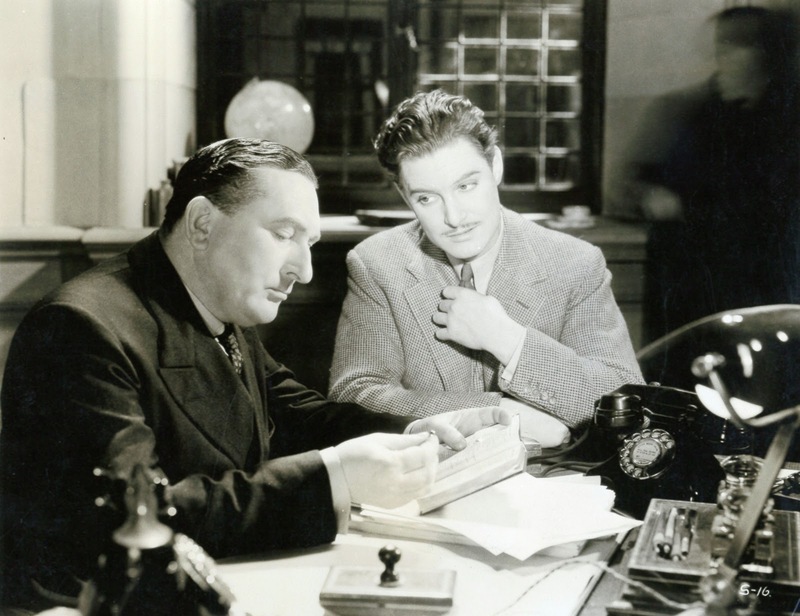 Alfred Hitchcock got US-known in a biggest so-far way thanks to The 39 Steps, released here in August 1935 via Gaumont-British. 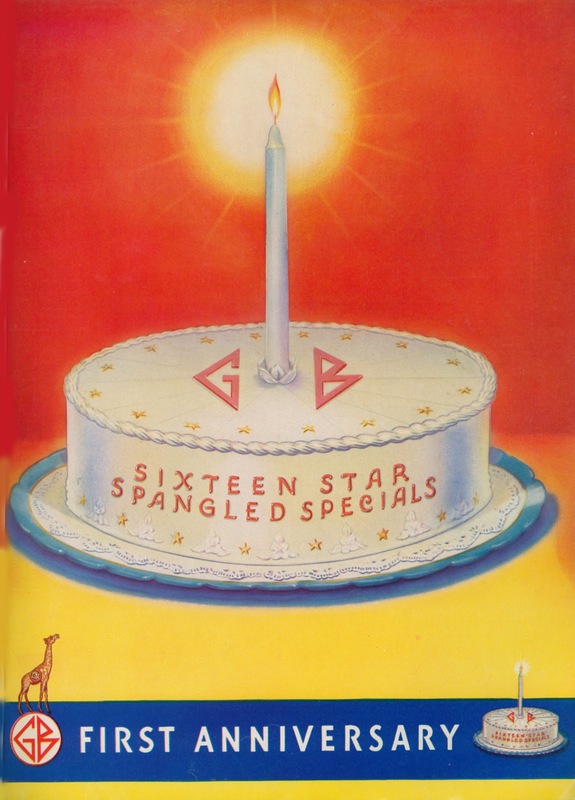 The company had opened an American branch in Autumn of 1934 and according to their '35 annual report, was now "firmly established, and a steadily increasing business is being built up from which a considerable revenue is anticipated in the near future." UK pics were tough sells stateside, the language barrier immense even though they spoke our own. Sophisticated-enough urbans could navigate it, but yokels voted down accented speech and got sore whenever lured to Brit shows not clearly ID'ed. Gaumont said as much about Yank stuff on their market, company chief Arthur W. Jarratt advising Hollywood producers that they must pay careful attention to American accents which creep into the wrong places in pictures sent to England, though he acknowledged the problem was more one of idiom than accent. Jarratt could afford giving colonists a dose of their own arrogance --- Gaumont after all controlled nearly 450 UK venues, the largest chain over there and America's top film customer in all of Europe. Gaumont's origins went back to 1898, even though they were under a year releasing in the US when The 39 Steps came out. Plan was to distribute sixteen features over here for 1935-36. Among first of these was The Man Who Knew Too Much, released 4-15-35, and so far a highest profile and best reviewed of GB offerings. That was a Hitchcock too, and paved ways for even better The 39 Steps. Small towns saw less of Too Much than cities, but it wasn't enough for impressed reviewers --- they wanted more from England's directing prodigy and were ready for Steps' summer arrival, especially as advance reports labeled it, said one columnist, as the British equivalent to The Thin Man and It Happened One Night. Gaumont had its New York office, but print distribution was through Fox exchanges, this shortly ahead of that firm's merge with 20th-Century Pictures. The 39 Steps was ripe for better bookings thanks to its cast known and liked by US patrons. Robert Donat had been a popular Count Of Monte Cristo the year before, and Madeleine Carroll had for several seasons top-lined imports to good, if not spectacular, response. The struggle for any foreign product was getting playdates. Gaumont had so far scored less of these than Brit rival Alexander Korda. 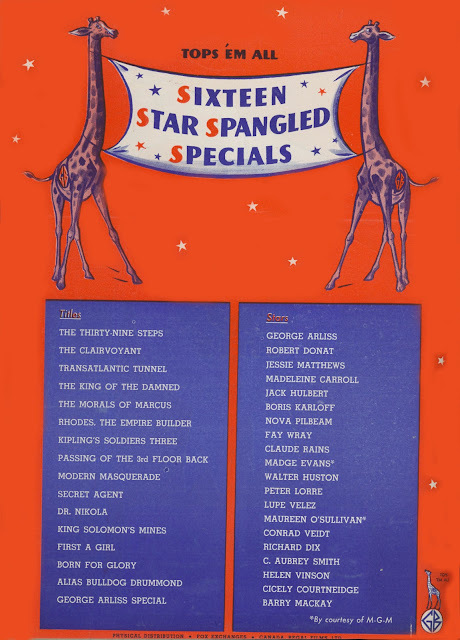 Their offerings, other than the initial Hitchcock, included The Clairvoyant with known quantities Claude Rains and Fay Wray, Loves Of A Dictator (also with M. Carroll) and two featuring Jan Kiepura, an operetta name that got no traction among US cinemagoers. 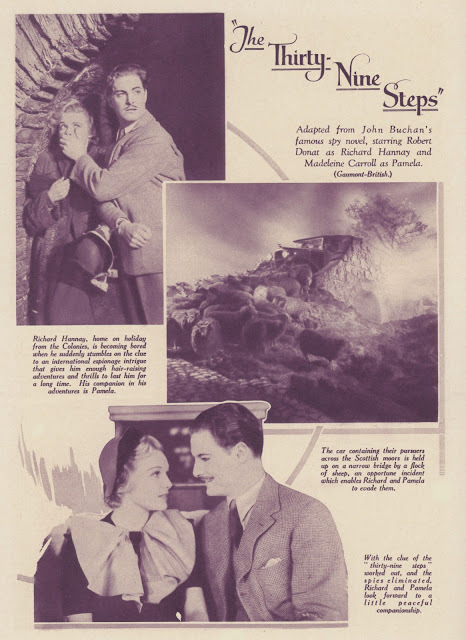 The 39 Steps came draped with four-star notices from home (it had UK-played, and successfully, for several months) and that, with Hitchcock's heat off The Man Who Knew Too Much, enabled solid dates at key venues normally averse to outsider pics. So much that was foreign got stuck in art houses, then called "little theatres," but Gaumont wanted The 39 Steps to compete with Hollywood's best, as here was potential to crowd-please way beyond staid level folks figured for anything Brit-made. The rollout was slow, Boston being a first key date. Could be that was wise, as The 39 Steps stood good chance to appeal there. Keith's Memorial (2,907 seats) played it a week, got $11,000, and was city-wide second only to Curly Top, with child sensation Shirley Temple, which took an expected $24K for a same period. 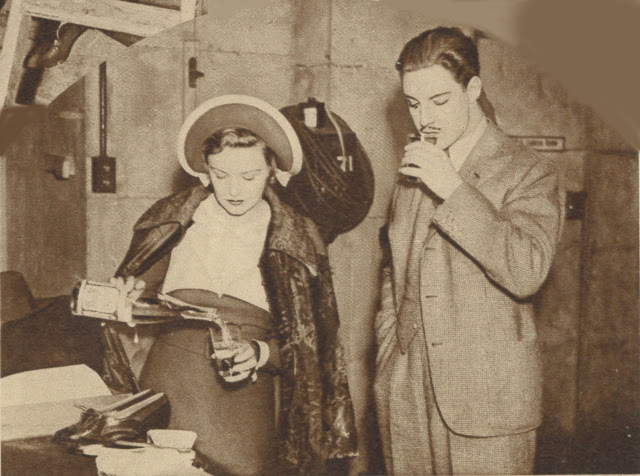 A Break On The Set and My Question: What Are They Drinking? There were happy turnstiles in Cleveland, The 39 Steps right behind competing China Seas for a week's supremacy. The town's RKO Palace reported (to The Motion Picture Herald) $11,000 for Gaumont/Hitchcock's show. Word-of-mouth saw biz increasing as days played off, always a good sign, though down-the-road Cincinnati tagged The 39 Steps a "disappointer" for getting only $4,500 at the Palace. Five sorry days saw Steps "jerked" in favor of moved-up Steamboat 'Round The Bend. Even "crix" (Variety-speak for critics) didn't go for Hitchcock there, an indifferent public agreeing it was "no dice." Was Cincinnati's a provincial patronage where Cleveland's was not? 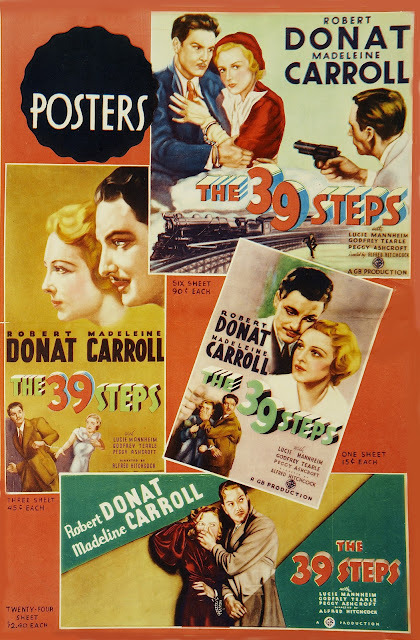 The 39 Steps still had not played New York even as it fanned west to Denver, San Francisco, and L.A. Frisco's Paramount Theatre paired Hitchcock with Laurel and Hardy's Bonnie Scotland to a minor $9,000, while Denver's arty Aladdin followed a previous week first-run of The Man Who Knew Too Much (five days and only $800) with The 39 Steps and $3,000. A soft $5,300 was Los Angeles' take, combo'ed with Welcome Home from Fox. Each of these dates, plus others, had as common thread a single week's play, or less, with no holdovers. 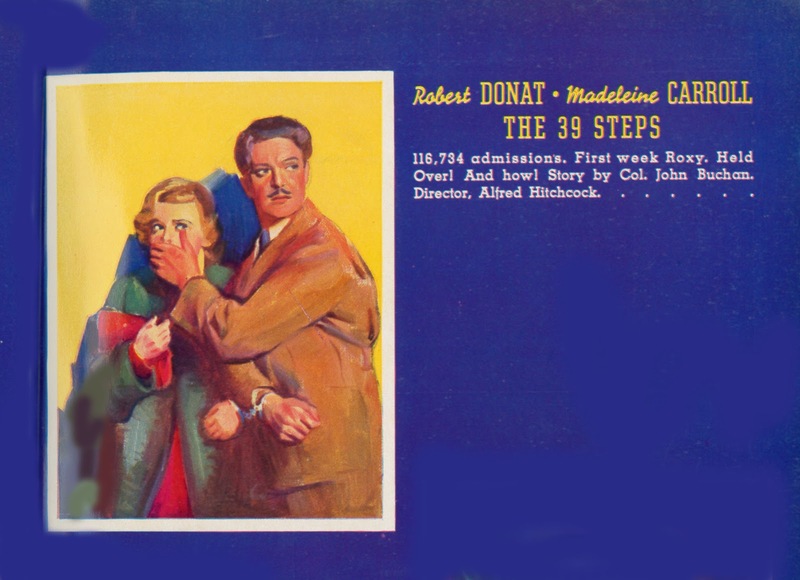 Sans major reviewer support, The 39 Steps might be just another Brit pic for customers to avoid. What it needed was discovery and support from influential critics, and that would come with New York's belated September run at the palatial Roxy. Noteworthy during August and a first half of September 1935 was receipts dwindling as Hitchcock's thriller crossed-country, eastern ticket-sales ahead of those counted in the west. Did coasts differ in their willingness to embrace (or not) oversea product? Still, it was Gaumont's coup to get The 39 Steps into Broadway's Roxy Theatre and its 6,200 seats. Whereas The Man Who Knew Too Much had, according to The New York Times, "slipped quietly into the Mayfair" months earlier, this was by comparison a gala with stage entertainment to buttress the feature. 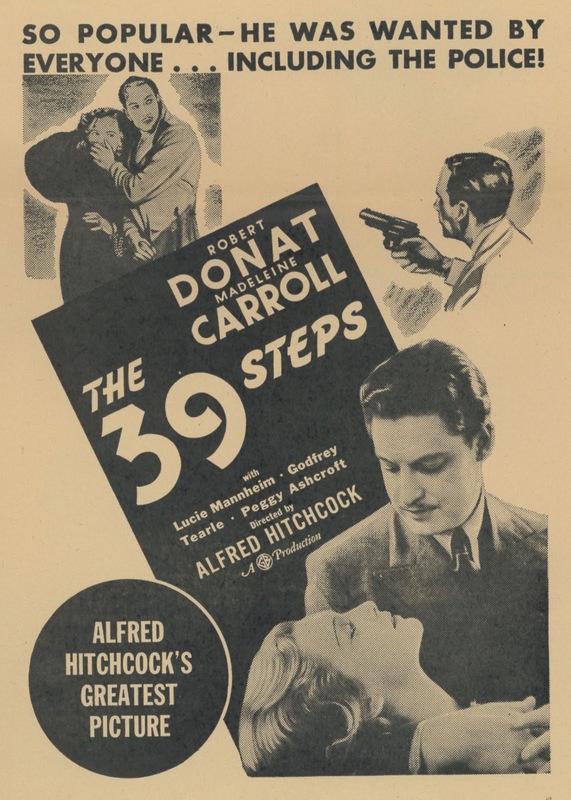 The 39 Steps came out of a first Roxy week with $43,000, a third best for the town exceeded only by Radio City Music Hall's smash Top Hat ($97K) and The Big Broadcast Of 1936 at the Paramount, which beat Gaumont/Hitchcock by a mere thousand dollars. What carried The 39 Steps toward a second week, in addition to wickets success, was critics and columnists tossing hats in the air for its sinister delicacy and urbane understatement, a thriller at last to excite NY's thinking audience. Alfred Hitchcock realized early how to flatter critics as well as his audience. Fans for The 39 Steps amounted to an elite corps, and their numbers grew. The New York Times' Andre Sennwald lauded a blend of unexpected comedy and breathless terror that is strikingly effective, comparing Hitchcock with Anatole France, a name-drop new to me who turned out to be a Nobel writer and "ideal French man of letters," whose artistry Sennwald compared to Hitchcock, this a bulls-eye to snob appeal The 39 Steps would generate. 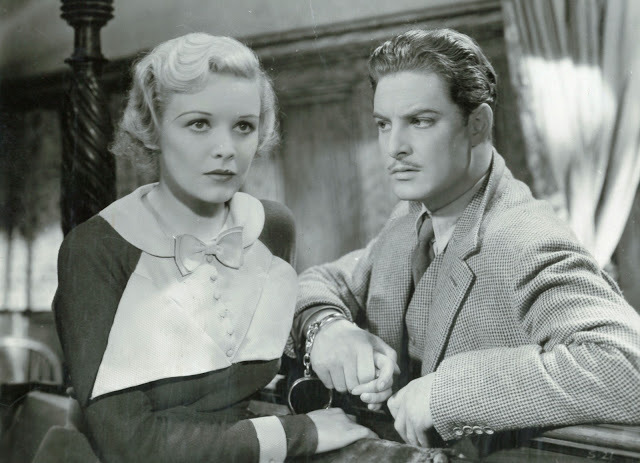 Critics across town noted contrast between Gaumont's sophisticated import and crude mellers domestically offered (Hollywood, home of the machine gun school of melodrama, might safely study The 39 Steps as an example of successful, thrilling restraint, advised the Brooklyn Times Union). Agreed among critics was that finally had come a civilized and adult piece of movie-making not insulting to their intelligence. Part Two of The 39 Steps is here. 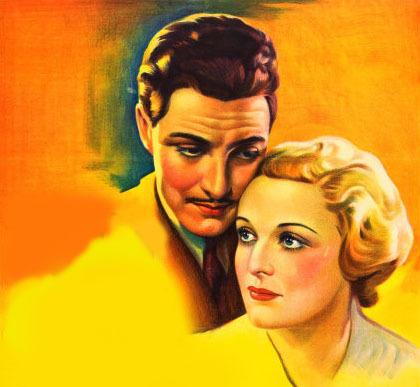 John: Thank you for the interesting comments on the US showing of The 39 Steps, which is one of favorite movies, starring one of my favorite actors. A double of bill of 39 Steps and Bonnie Scotland? I'd like to see that. I loved the Gaumont ads. 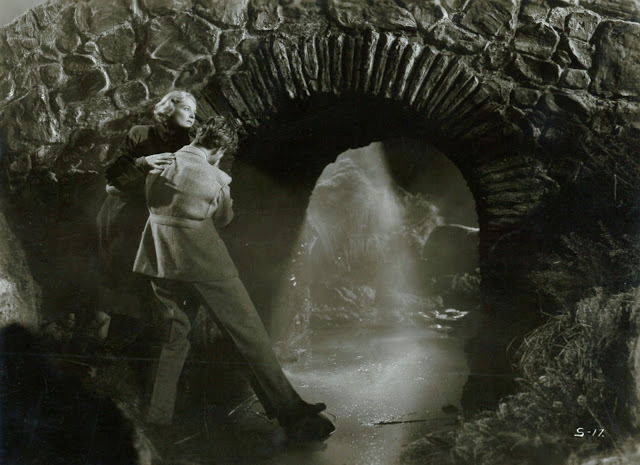 Your essay is another fascinating glimpse of what really happened when the films recognized as classics today were first exhibited. 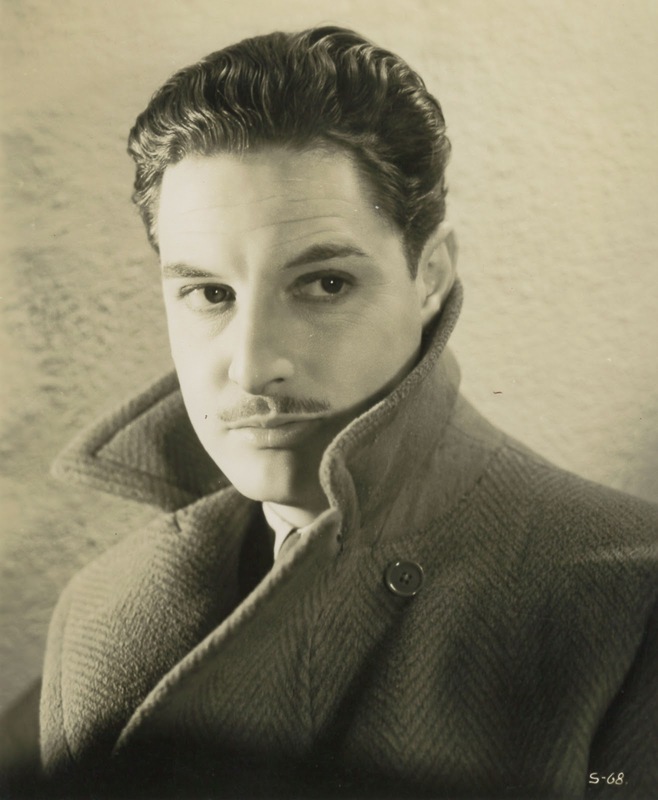 It seems curious, though, that The 39 Steps should have been released initially in the hinterlands of the United States, when the only possibility of making it a popular attraction would have been a successful opening in New York City. 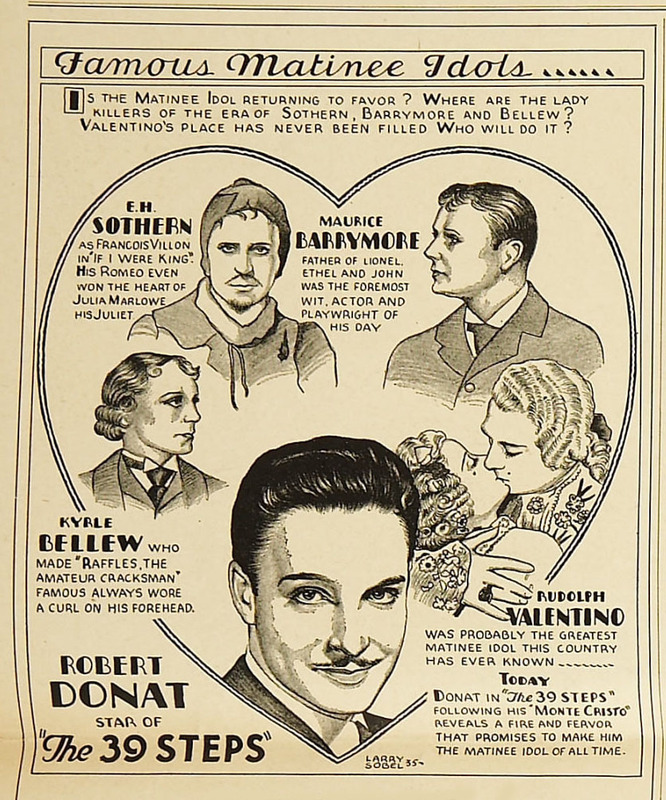 As powerful as radio and motion pictures had become, the media of the time were still dominated by the print media,and the print media were dominated by New York city. There were seven newspapers in Manhattan alone, including the prestigious New York Times and New York Tribune, and such national magazines headquartered there as Time, Newsweek, the Nation, the New Republic, the Literary Digest, the Saturday Review of Literature, the New Yorker, and Life (the humor magazine later bought by Time, Inc.), all of which regularly reviewed the movies. 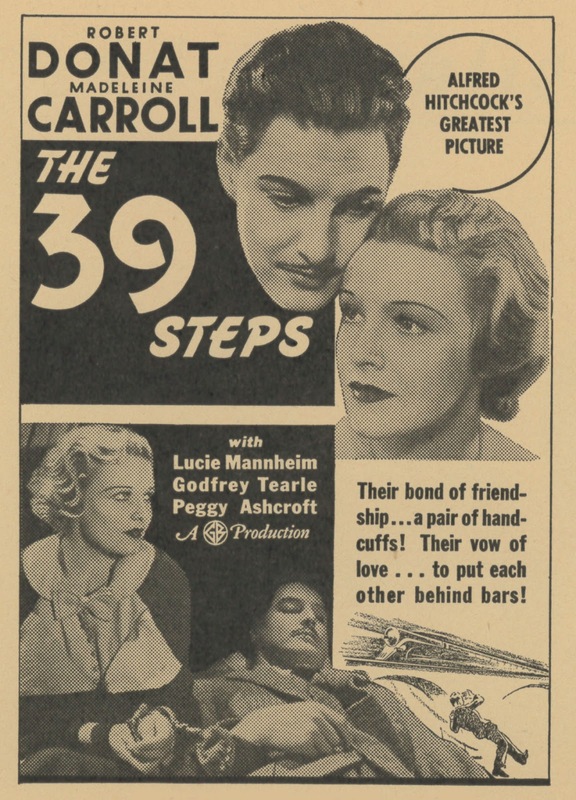 If The 39 Steps scored with the critics for these periodicals, it could be sold across the country, while good runs in Cleveland or Cincinnati would have meant little, even in Ohio. 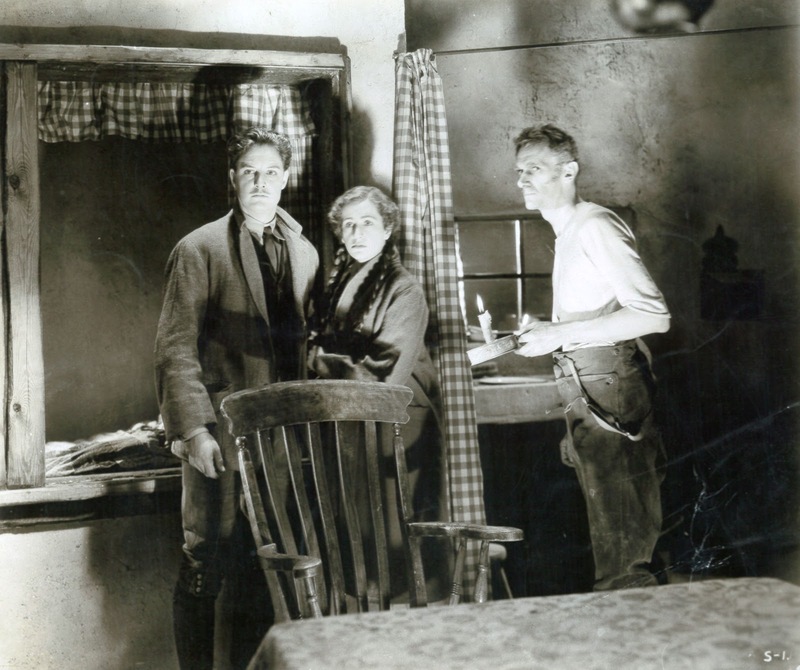 Was there simply no venue available in New York, or was there a calculated gamble that good returns elsewhere in the country would eventually convince some theater in the big city, maybe even the mighty Roxy, to take a chance on this new picture from a hot director? In any case, I'm certainly looking forward to part 2. A few years ago, a UK stage version of "The 39 Steps" ran on Broadway with a cast of only 4 playing all the roles. Without changing much of the dialogue featured in the movie, it was a wonderfully funny, entertaining show -- Hitchcock by way of Monty Python. Not a parody but a lighthearted tribute. And it was only when I re-watched the movie a few weeks later I remembered how witty it is -- although, for reasons I can't explain, I prefer "The Man Who Knew Too Much." Peter Lorre always elevates any movie he's in. Excellent historical context for a film I've always loved. (Sorry, Kevin, but I like this one much, much better than "Man.") I look forward to the follow up. Re: SWAMP WOMEN masthead - I always enjoyed this "B" picture. Two of my all-time favorite "dames" - Marie Windsor and Beverly Garland - in the same movie. With both of us being in North Carolina, thought you might like to know that The 39 Steps is part of a Hitchcock retrospective at The Carolina Theater. The best part of it is it's actually 35mm.